Details: On most of my recent visits to Sycamore House at Thornton Heath, the interesting vehicles have been parked round the back, leaving the front yard to hired vans and staff cars, and this was pretty much the case on 25th September 2007. 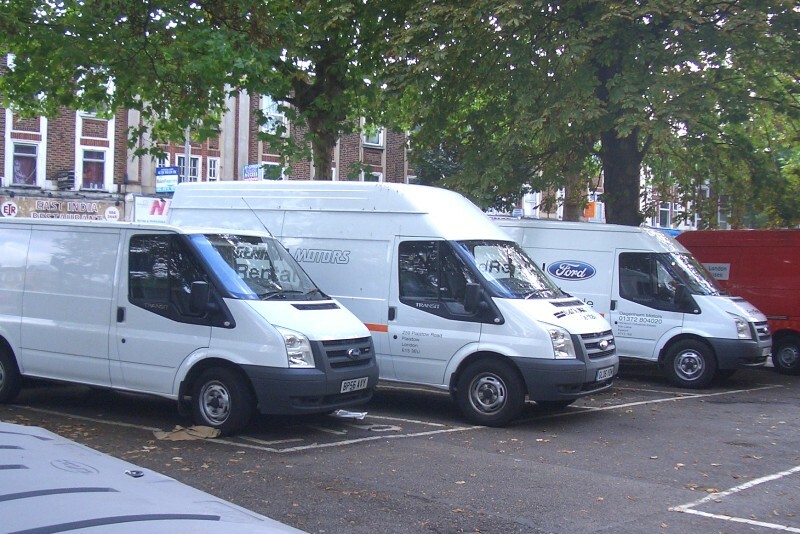 However, boring though hired Ford Transits may be, this view usefully shows the three height variations available, and the three most common lettering varieties (plain, Dagenham Motors and Ford Rental). Interestingly, Dagenham Motors GL06YDM in the centre was seen again later the same day at Acton Town station.